Pick, fuse, and design! 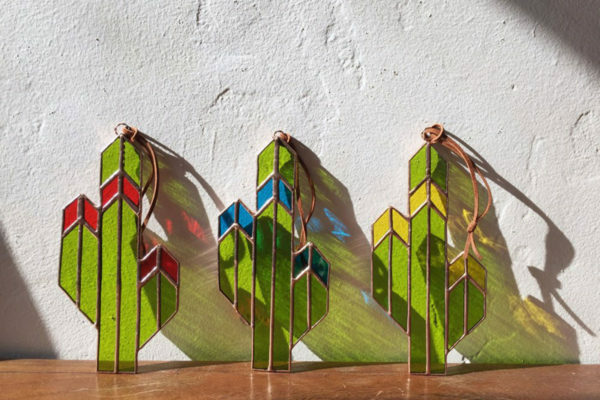 Embrace the Santa Barbara sunshine by creating a sparkling sun catcher out of colored stained glass and make colors dance in the light! Chelsea Brewer from Brewer & Marr Glassworks will be on hand to help participants as they craft their masterpieces. Space is limited to 12 participants, so be sure to RSVP here to reserve your spot. Create playful objects in a variety of select materials, inspired by works in the exhibition Free Play, during this evening of creation, experimentation, and conversation over art and wine! The FREE Third Thursday Studio program invites participants to explore techniques and themes of contemporary art inspired by artists in the exhibitions through conversation and hands-on experiences. Third Thursday Studio workshops examine key concepts of the artistic process with Director of Engagement Monika Molnar-Metzenthin and featured guest artists.